Sometimes it’s hard (okay, most of the time) to figure out what to make for dinner. Especially something that everyone will like. This one doesn’t like red meat, that one doesn’t like fish and so on. It’s exhausting and annoying. The complaining that dinner can cause is epic. One thing that everyone agrees on…chicken! We all like it. And, the vast majority of tummies in my house prefer wings to any other part of the chicken. 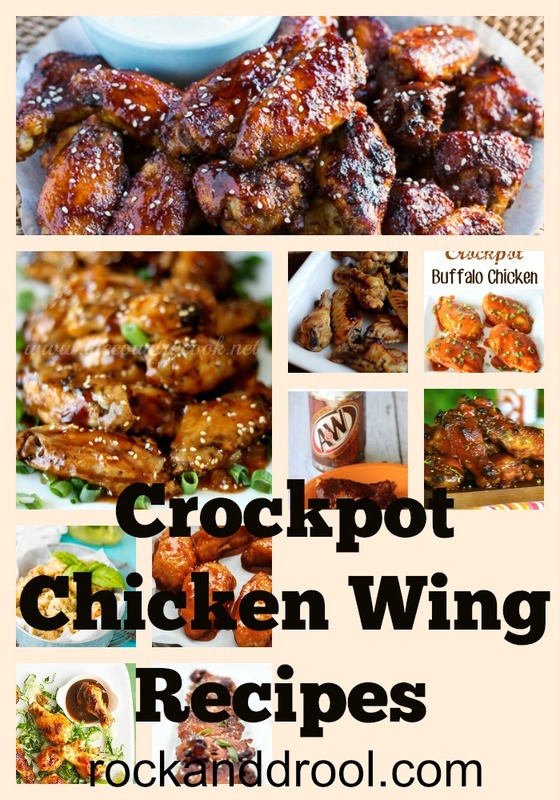 The great thing about cooking with chicken wings..there are so many different ways to make them. And, 99% of those ways is a crowd pleaser in my house. Guess what’s for dinner tonight? Yup, chicken wings. I’m actually going to make the Honey Root Beer wings for the family this very evening. We’ve never tried chicken wings that way. Should be interesting. My crockpot is the most used small appliance, aside from the vacuum, in my house. The convenience and ease of using a crockpot to cook with makes my life that much..well…easier. Throw the chicken (or whatever the main course is) and all the other ingredients into the crockpot, put it on the right setting and fuggitaboutit.